Beefed up. The L-series is the affordable entry into the world of ThinkPads. It offers typing comfort, many interfaces including a docking port, and a rigid, timeless chassis. Lenovo now ships the classic with an SSD and HD+ screen. Will that make the L440 the ultimate laptop among the budget-priced pro-books? Lenovo sells its ThinkPad L line with different components for prices ranging from 620 to 800 Euros (~$777 to ~$1003). Users who are not satisfied with a Core i3, HDD and HD screen can opt for the premium model, which we now have on our desk. A Core i5-4300M, 180 GB SSD, and 1600x900 pixels in non-glare - that stirs the blood of every ambitious office friend. We will only look at the new components in the form of an Intel 520 Series SSD (180 GB), and an HD+ screen with 1600x900 pixels in this review update. This version of the L440 is currently sold for 799 Euros (~$1001). Both the SSD and higher resolution could have an impact on the runtimes and system performance. Therefore, we will take an in-depth look at these aspects. 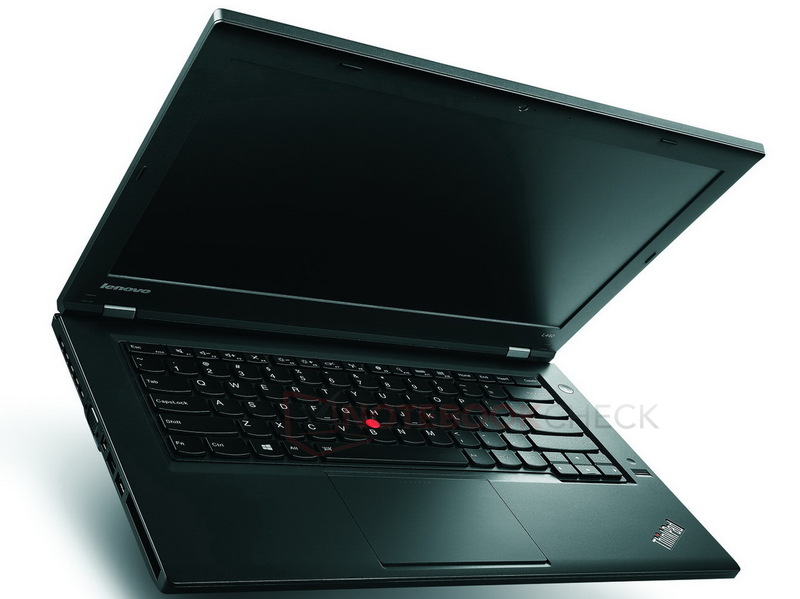 We would refer to the review of the Lenovo ThinkPad L440 for further information concerning build, input devices, connectivity, and sound. We selected two 14-inch office contenders that also feature HD+ and have a similar low price tag. Dell's Latitude 3440 even sports a dedicated GeForce GT 740M but does not have an SSD. HP's ProBook 640 G1 (H5G70EA) with a 128 GB SSD only costs slightly more. The non-glare Innolux screen (N140FGE-EA2) based on TN technology is a typical a-Si TFT with a resolution of 1600x900 pixels in our case. However, it is not meant to replace the 1366x768 pixel screen of the first L440 review sample; the HD version is still available. A Full HD model is not offered here, same as for the 14-inch ProBook 640 and Latitude 3440. Innolux states a contrast of 500:1. However, we only measured 176:1, and the dull colors on the matte screen confirm that. Consequently, colors are no fun on the L440. The contenders do a better job as can be seen in the chart. The Latitude 3440 is miles ahead in brightness, and it also features a non-glare screen. 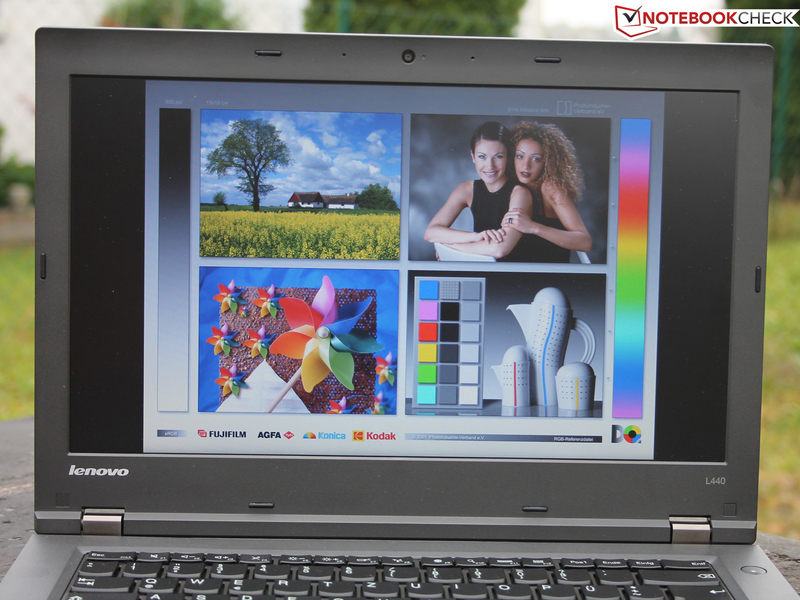 The color space is important when using tools like Adobe Lightroom, Quark Xpress or InDesign on the ThinkPad. 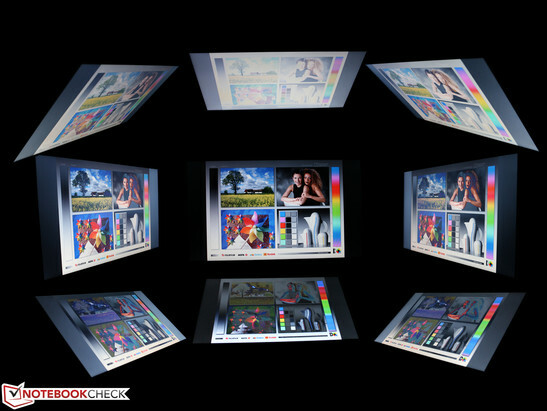 A TFT should cover AdobeRGB in the best case, but only a few high-end workstations have achieved that until now. This is no different with the Innolux screen that only manages to cover 40% of AdobeRGB. The contenders are not better here. We assessed the screen before calibration with a spectrophotometer and ascertained high DeltaE shifts particularly in the mixed colors. ColorChecker recorded a DeltaE of almost 12. The Latitude 3440's rates were somewhat better. Consequently, the difference between the actual and the reproduced colors is visible to the naked eye. A DeltaE of 6 in the grayscale does not speak well for the device. We also noticed the usual bluish cast. CalMAN Grayscale - bluish cast! 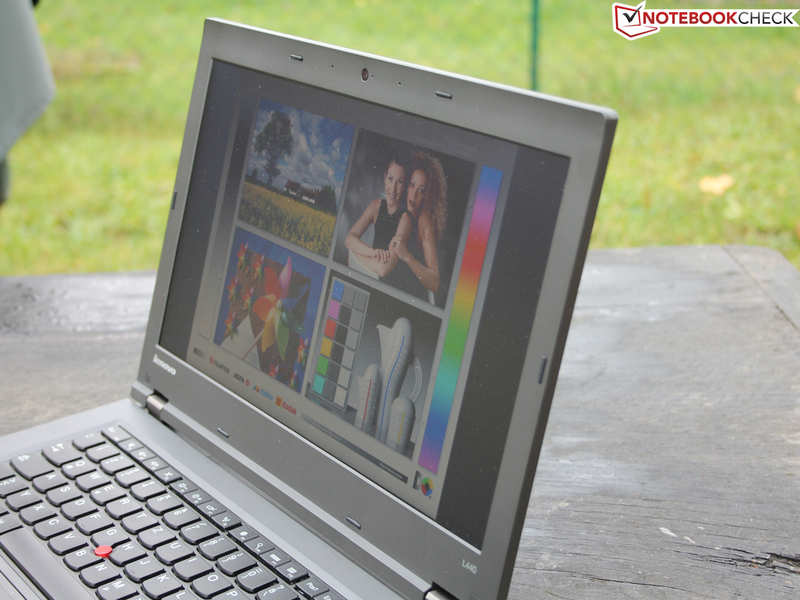 The L440 can also be used outdoors because the brightness is not throttled in battery mode - a must for a good office device. The image inverts quickly in vertical shifts. The user will not be annoyed by contrast deviations for a longer time horizontally. Here, the user has a leniency of approximately 90 degrees. Working in applications with high requirements on the processor is fast owing to the standard voltage i5-4300M (2.6 GHz) Haswell CPU alongside its HD Graphics 4600 IGP. However, it is primarily the Intel SSD 520 Series that vigorously accelerates the experienced and measured system performance. 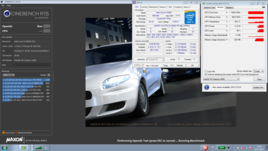 The R15 benchmark reveals that the i5-4300M is state-of-the-art. The CPU not only outperforms the ULV chip in the Latitude 3440 but also surpasses the i5-4200M in the ProBook. 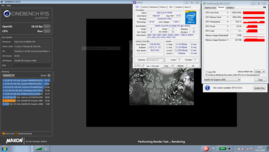 The clock rate was 3.2 GHz in both the single-core and multi-core tests. This was not different in battery mode, where the scores were identical. The application performance tops the ProBook 640 contender because it does not sport an SSD. We did not perform this version of the test with the Latitude. The system's experienced speed is excellent. Copying and installations were finished in lightning speed, and the L440 booted within seconds from a cold state. The Intel SSD 520 Series (SSDSC2BW180A3L) has a gross capacity of 180 GB. The user, however, only has 105 GB available in state of delivery. That is due to the usual formatting differences and the recovery partition of various tools, such as Norton Internet Security. PCMark 8's storage score impressively shows the advantage of the SSD system. The L440 HDD version lags behind by 54%, and it looks similar for the ProBook 640. The CrystalDiskMark scores illustrate the disadvantages of an HDD in detail. Spinning HDDs and NAND models are worlds apart particularly in 4K read and write. Intel's HD Graphics 4600 has a slight disadvantage due to the single-channel memory (only one slot filled). The ProBook 640 G1 in the chart also has single-channel memory. The GT 740M in the Latitude 3440 naturally passes the finish line first owing to its GT 740M. Users who do not need quite as many professional office features but want to play games should consider the cheaper Latitude 3440. The L440's noise development is low, apart from the fierce upsurge (36 dB(A)) that turned up regularly in idle. The review sample disabled its fan completely between that, and the L440 was absolutely silent then due to the SSD. The level never surpassed 40 dB(A) in load. (±) The average temperature of the palmrest area of similar devices was 28.2 °C / 82.8 F (-0.6 °C / -1 F). The power consumption of the former model with an HD screen and HDD is in fact significantly higher, particularly in idle. The review sample is as frugal as a low-voltage laptop and only consumes 4 to roughly 8 watts. The HDD precursor consumed as much as 8 to 13 watts. Dell's Latitude 3440 has a slightly lower load requirement than the review sample due to the processor's lower TDP of 15 and despite its GT 740M. The compact 65-watt power supply needed 2:11 hours to recharge a fully drained battery (while the device was loaded via system benchmarks). Our review sample was equipped with the standard 57 Wh, 6-cell battery. Buyers can also purchase the small 48 Wh replacement battery or the 72 Wh power battery. The latter clearly juts out from the chassis. The first L440 with an HD screen even featured a 100 Wh, 9-cell battery that achieved an ambitious 471 minutes (Wi-Fi test). Our L440 lasted for almost five hours in the Wi-Fi test. The 14-inch device opens websites via a script with a brightness of 135 cd/m² (dimmed three levels; closest value to 150 cd/m²). The Latitude 3440 lasts much longer with its 65 Wh lithium-ion battery, and the ProBook 640 G1's 55 Wh presents the worst results. Lenovo ThinkPad L440 - take it to university right away? Lenovo beefs up its ThinkPad L440 version 20AT004QGE with an HD+ screen and SSD. However, that does not turn it into an affordable high-end laptop for professionals. The contrast of 200:1 is lousy and the DeltaE color shifts are still much too high. The contenders with HD+ screens, the Latitude 3440 and ProBook 640 G1, have more to offer here (better contrast). The ProBook with an SSD costs only 50 Euros (~$62) more, and though the Latitude 3440 has fewer professional features (input device, interfaces, build), it only costs 670 Euros (~$840) with a GT 740M graphics. Nevertheless, our test system leads the comparison in application performance because it competes against HDD systems (Latitude 3440, ProBook 640 G1) that even have a weaker low-voltage SoC in some cases (Latitude 3440). The CPU's Turbo is maxed out, and throttling is not an issue. 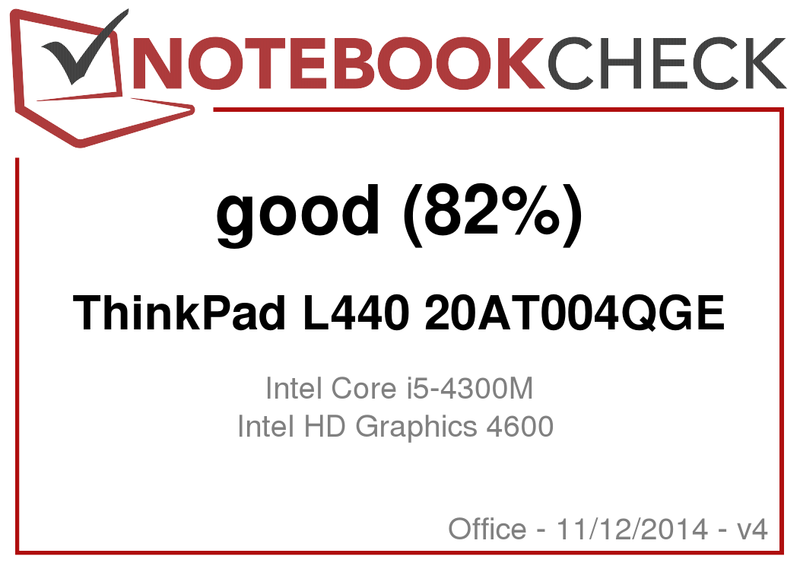 Anyone looking for the best possible performance, apart from gaming, will find the ThinkPad L440 with SSD simply perfect. 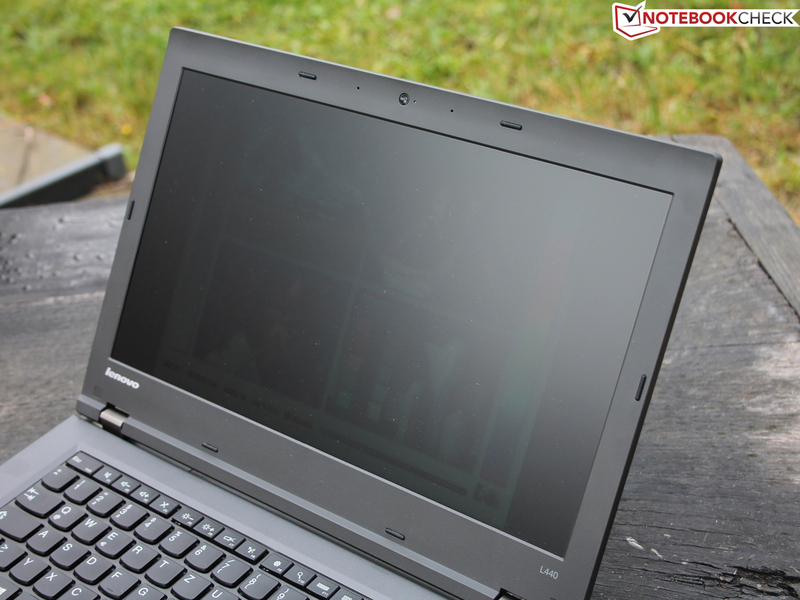 Lenovo ThinkPad L440 - now in review with HD+ screen and SSD. 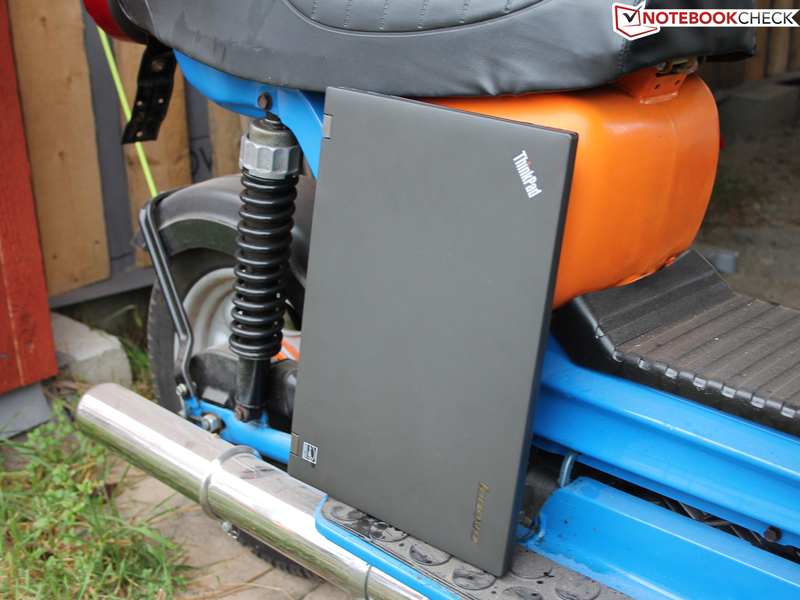 Lenovo ThinkPad L440 - a classic office worker without frills. 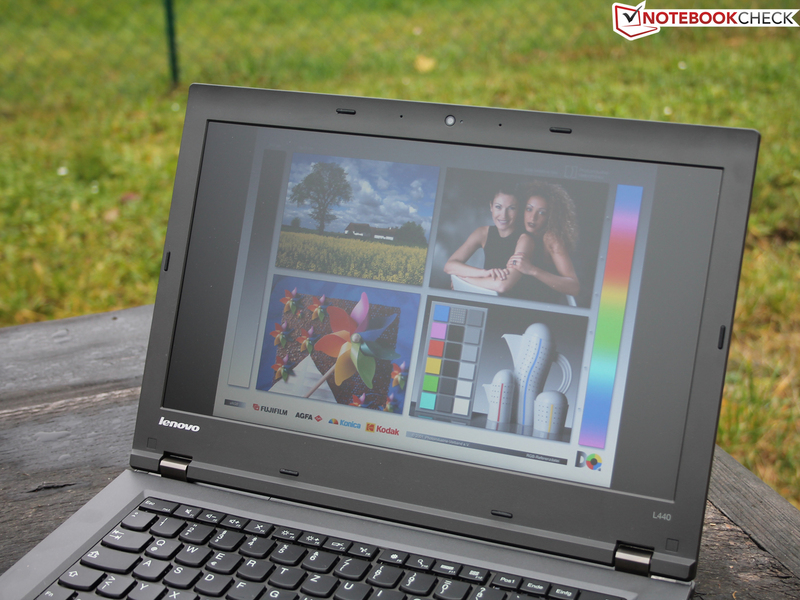 Lenovo ThinkPad L440: Its HD+ screen disappoints with an abysmal contrast. Finally a work-suitable resolution for the 14-inch device. The L440 is swift owing to Intel's SSD. The fantastic input devices (mechanical keys) are a joy to type on, no one can belie the ThinkPads in this respect. Even the ClickPad can be used easily after some getting used to. A CRTL key at the outer left, we always hit the FN key instead. The dull and weak colors are no fun in times of high-end screens in our smartphones.